Lakisha Johnson, native Memphian and author of over fifteen titles was born to write. She’ll tell you that “Writing didn’t find me, it’s was engraved within me during my creation.” Along with being an author, she is an ordained minister, co-pastor, wife, mother and the product of a large family. 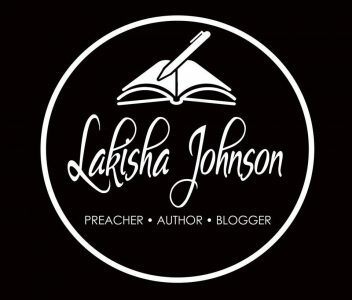 She is an avid blogger at kishasdailydevotional.com and social media poster where she utilizes her gifts to encourage others to tap into their God given talents. She won’t claim to be the best at what she does nor does she have all the answers, she is simply grateful to be used by God. God gets all the glory as I’m honored to be voted among UBAWA’s Top 100 Authors of 2018, alongside some amazing men and women! However, I couldn’t have done it without those of you who supports me, prays for me and voted … I APPRECIATE YOU! To each of you, your family and friends; I pray you have the merriest of holidays. To you who may be grieving the loss of a loved one(s), I am praying their memories and love will get you through this time. To you who may be alone and feeling as if you can’t make it, I am praying your faith does not fail. The holidays really aren’t about presents, it should be making memories, laughing and loving. Don’t take those minutes for granted because a physical gift is something you can replace, time isn’t.